In a recent update on U.S. import tariffs case under Section 232, the U.S. government has announced further exemptions from tariffs for five of its trade allies, European Union, Brazil, South Korea, and Argentina. While Mexico, Canada, and Australia were already exempted from the same at the time of the announcement. However there is a possibility of imposition of import quotas on these countries to prevent too much of foreign steel influx in to the U.S. According to reports, quotas are viewed as less aggressive than tariffs because foreign exporters benefit from the restrictions, in the form of higher prices, while in the case of tariffs, the U.S government chooses the higher duties. 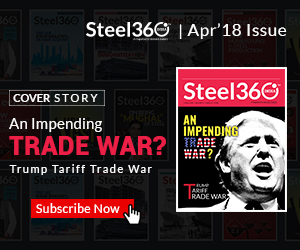 On 9 Mar’18 when Trump had government announced import tariffs on steel and aluminum imports under section 232, the entire world went into a frenzy. While the government had exempted Canada, Mexico, and Australia from the tariffs, it had hinted the scope of further exceptions depending on other countries capability to convince the Trump government of “satisfactory alternative means” for resolving trade inequities. 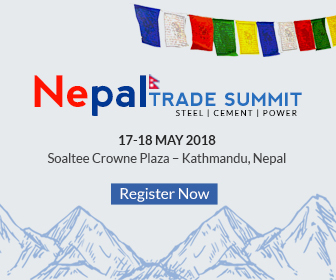 The new import tariffs were set to take place in 15 days from the date of its official announcement on 9 Mar’18. The announcement was followed by subsequent chaotic weeks where many countries tried to cajole the Trump government for exemptions. According to reports, the leaders of several countries with close ties, including military alliances, with the U.S. had warned that the restrictions could result in a trade war and undercut a global economic recovery. They also argued that the tariffs would be mutually destructive and may hinder the bilateral trade benefits. Although benefit has been given to U.S. major steel exporters, only Japan which holds a position in U.S. top 10 exporters, has not been given an exemption and will have to face steep tariffs. However, U.S. has argued that the country runs a trade deficit with many nations, including China and Japan, importing more goods from those countries than it exports. Last year, Japan sent about USD 1.7 billion in steel mill products to the U.S. thus affecting its domestic economy. The U.S. is one of the largest steel importers in the world. 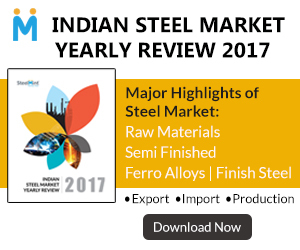 In 2017, the U.S. imported 34.6 MnT of steel (both alloy and non-alloy steel), a 15% surge from 30 MnT in 2016. The value of U.S. 2017 steel imports increased by 31% to USD 29 billion from USD 22.1 billion in 2016. In 2017, flat products accounted for the largest share of U.S. steel imports at 35% (12.1 MnT). Semi-finished products accounted for 22% (7.5 MnT) followed by pipe and tube products at 22% (7.4 MnT), long products at 19% (6.5 MnT) and stainless steel products at 3% (1 MnT). U.S. steel imports from top 10 countries represented 77% of the total steel import volume in 2017 at 26.8 MnT. Canada accounted for the largest share of U.S. imports at 17% (5.8 MnT), followed by Brazil at 14% (4.7 MnT), South Korea at 10% (3.4 MnT), Mexico at 9% (3.2 MnT), and Russia at 8% (2.9 MnT). While the percentage share of other countries has fluctuated overtimes, Canada has remained in the top spot in U.S. total steel imports.